2016 has indeed presented a powerful year to us. 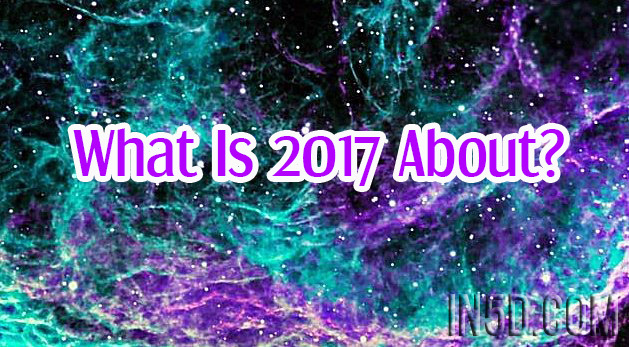 And perhaps you are wondering about the energies of 2017, and which focus to keep after we step over the threshold and into a new year. In 2016, many have felt the energetic impulses, moving like etheric hurricanes through our structures. A lot of people have made new important connections, and perhaps started to find into new alignments in tribes, and truer networks. This leaves an opening towards moving into actual processes of co-creation with Mother Earth, planting the seeds of our new timeline and our new reality in accordance with the laws of the living nature. One of the great shifts that happened during the past two years, and with the strongest influence in the last half of 2016 was that people with higher frequencies and multidimensional openings could begin to connect more extensively through physical meetings, with prospects for future collaborations. We have seen the energy impulse also here on In5D, where there have been a high number of guest writers, all attuned to the new energies. This means that our networks are getting stronger. And that the potential for co-creation is increasing. At the personal level, when I woke up 10 years ago, I worked with impulses particularly based on 5D consciousness, related to academic research, esoteric research, energy work, and healing. At this time, it was a challenge to present knowledge connected to a 5D horizon, since the 5D space was not very populated. The alternative world with its healing arts, guru’s and experts was mainly populated by people, who were breaking out of the 3D encapsulation, moving into 4D, but without a 5D awareness. Furthermore, as we know today, the 4D levels often involved elements of distortion and misleading. You could say that the Dark Forces worked on distorting the 4D opening in order to keep the Earth population in a state of non-knowing. This reminds us to be aware that as we ascend, our challenges do increase, when it comes to oppositional forces. The dynamic between ascended people and the potential to move into the pillar of purity, however, has changed drastically during 2016. Today, there is a growing space for exchange, and perhaps even for work at the level of 5D and up (viewing ourselves as 13-dimensional beings). And while having experienced non-distorted openings at these levels, this in fact does open up for the potential of co-creation that has been inherent in the human DNA all along. This means that, besides from focusing on our individual work of expanding our consciousness, and becoming still more accustomed to our presence in the 13 dimensional body, we need to learn how to co-exist with others on this basis. Therefore, it forms an important part of the process to begin to form networks, and to commence the actual process of co-creation from the basis of our present state. The human race is a creative race, and it is meant for co-creation both within its own species, but also, and more importantly with Mother Earth, and all of her physical expressions. 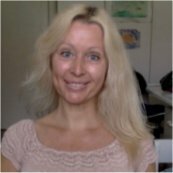 One of our biggest challenges, thus, is to establish real life actions towards actually creating and manifesting the changed world that we want, and to becoming able, together with Source and other higher energetic formations, to express multiple different small societies that work from the principles of the living Nature. 2017 is delivering the potential for moving from our 2016 process into a truer state of presence and being, and into new born states of co-creation on the basis of our own process of purification through energetic discernment. This demands of us more than we might realize, however. Co-creation is not just some happy love and light exchange between awakened people, who have no challenges in life. And co-creation is more than our individual process: it is processes that happen in collectives. It concerns mutual alignment, and the actual creation and production of new ways of social interaction that cover all from new forms of leadership and democracy (sociocrasy, perhaps), to sustainable and zero-point energy resources. Co-creation is a process that also involves people, who do not have open multidimensional consciousness, however, are heart based, and intuitively follow the energy upgrades of humanity and Mother Earth. Thus, we must learn to build bridges among us. Furthermore, co-creation forms a process that demands for us to make new syntheses between our Earthly heritage of different forms of knowledge and inventions that we can mix and synthesize with potentialities of the future, experienced as inspirations. So if we want to participate in processes of co-creation, these processes demand of us to fully accept our physical state, since we have chosen to incarnate on Planet Earth, and be physical. And thus we have also chosen to co-create with the physical aspects of Mother Earth. Thereby, not just seeing ourselves, the human species, as the main expression of Source energy, having made a split, but also incorporating the art of validating all living creatures, from rocks, to plants, to animals, mountains, lakes and more as expressions of Source with individual sovereignty and as sources of learning and communication. Many of us feel that we have come back to our true identity during 2016, after perhaps having had to accommodate too much to the matrix in order to survive. However, we now need to not just talk our truth and walk our truth, but also to form a diversity of external expressions that signify our truth. Feeling and transmitting the waves of creation inside ourselves and outside of ourselves; as a gift to our surroundings, and to Mother Earth. To move into the experience of a higher energetic recycling, where we take in energies, exchange energies and give back energies; between each other and between ourselves and the planet, in a state that is strongly connected to flow. This state of being and expression leaves a high degree of satisfaction within us. And this satisfaction we can use, while having to deal with living in a split world; where the bifurcation of energies becomes ever clearer. So not only do we need to open ourselves to the challenges of integrating ourselves at large horizons of time, space and dimensions, and to simultaneously move into challenges that teach us to co-exist with many other living beings, at levels that are heightened into new stages. We will also have to endure the reality played out right beside us as we outlive this: the gradual crumbling of the old systems and thought forms. And this part of reality will be harsh. Now, to some extent, there is free will on this planet. This means that the actors have a contingent space in which to make choices. Therefore the outcome and the pace of what will happen is not known to us exactly. At this level, however, we will see crises becoming even stronger than we have seen in 2016. And we are moving into a reality where there is much more polarization. At a certain level you could say that the potential for a new war that involves Europe and the US (perhaps as opponents, as we dive deep into the truth of the mechanisms actually involved) is closer now, than it has been for a long time. We will experience to live in the midst of this tension. And that demands our deep courage, and our insistence and continued belief in co-creation in a liberated world of 13 dimensions (placing ourselves wherever we need in our personal process; no dimensional attachment is more worthy than the other as long as we move in the “pillar of purity”), while integrating dimensions 1-3 at the level of lower densities, as long as they present aliveness and purity to us. The main request should be that as we feel into the situations in which we immerse ourselves, we feel the forces of the living Universe present in them. On this basis, my advice to the awakened community will be to keep connecting with conscious and heart based people, and to integrate into, or start processes of creating. To start working actively in areas where you can see that we need to upgrade the social processes around us, for instance making new designs for whole new ways of doing business, exchange or gift economies or seeking out ways to upgrade existing eco-community living in ways that are more in tune with the new frequencies, and that allow us to communicate more actively with Mother Earth, and where creation with material from her is also viewed as a kind of communication. In this process, we must learn more of our planet’s ways of keeping herself and her creations sustainable. We need not immerse into the processes of the dying matrix (unless it is part of our mission and process right now), but we do need to feel the physicality of existence, and to create from this level and up. In this process we will thrive by integrating former experiences made by humanity on this planet (human knowing) to the extent that they serve our higher pragmatic purposes. And most importantly: we will always keep an attitude of unconditional love and deep empathy for ourselves and others as we move along. I have hopes for the future. Platform of Multidimensional Integration (https://multidimensionalintegrationplatform.wordpress.com/about/ and a youtube channel (https://www.youtube.com/channel/UC9eHRBGbWHr6VftXiTRhL5A), which both aim to support individual and collective transition by connecting dots between multiple kinds of knowledge.